"Kaz Brekker and his crew have just pulled off a heist so daring even they didn't think they'd survive. But instead of divvying up a fat reward, they're right back to fighting for their lives. Double-crossed and badly weakened, the crew is low on resources, allies, and hope. As powerful forces from around the world descend on Ketterdam to root out the secrets of the dangerous drug known as jurda parem, old rivals and new enemies emerge to challenge Kaz's cunning and test the team's fragile loyalties. 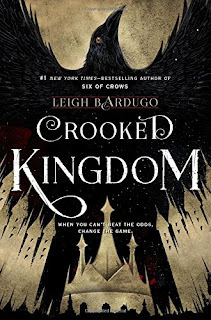 A war will be waged on the city's dark and twisting streets—a battle for revenge and redemption that will decide the fate of the Grisha world." "In The Tengu’s Game of Go, the final book of Lian Hearn's epic Tale of Shikanoko, the rightful emperor is lost; illness and murder give rise to suspicions and make enemies of allies. Unrest rules the country. 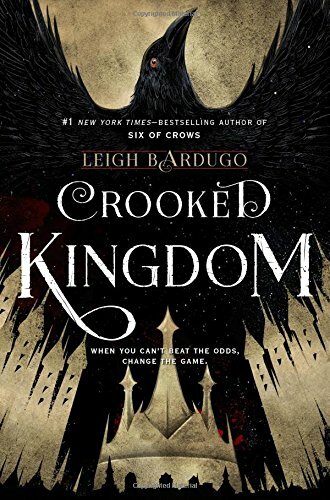 Only Shika can end the madness by returning the Lotus Throne to its rightful ruler.As destiny weaves its rich tapestry, a compelling drama plays out against a background of wild forests, elegant castles, hidden temples, and savage battlefields. 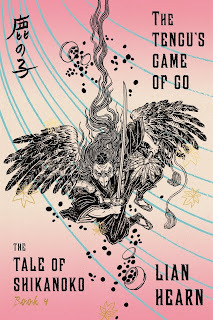 This is the medieval Japan of Lian Hearn's imagination, where animal spirits clash with warriors and children navigate a landscape as serene as it is deadly." "Alesandro Sussken is a composer living in Glaund, a fascist state constantly at war with another equally faceless opponent. His brother is sent off to fight; his family is destroyed by grief. Occasionally Alesandro catches glimpses of islands in the far distance from the shore, and they feed into the music he composes. But all knowledge of the other islands is forbidden by the military junta, until he is unexpectedly sent on a cultural tour. And what he discovers on his journey will change his perceptions of his home, his music and the ways of the islands themselves. Bringing him answers where he could not have foreseen them." 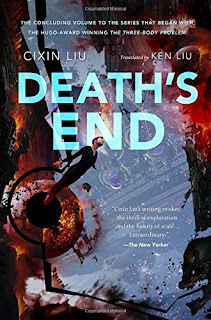 "Now this epic trilogy concludes with Death's End. Half a century after the Doomsday Battle, the uneasy balance of Dark Forest Deterrence keeps the Trisolaran invaders at bay. Earth enjoys unprecedented prosperity due to the infusion of Trisolaran knowledge. With human science advancing daily and the Trisolarans adopting Earth culture, it seems that the two civilizations will soon be able to co-exist peacefully as equals without the terrible threat of mutually assured annihilation. But the peace has also made humanity complacent. 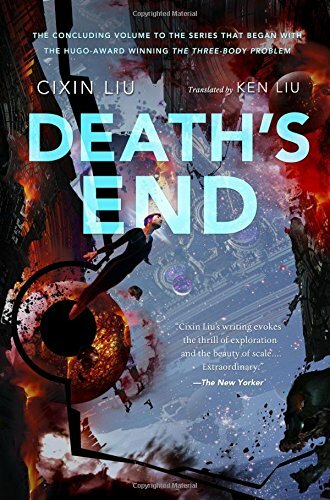 Cheng Xin, an aerospace engineer from the early 21st century, awakens from hibernation in this new age. 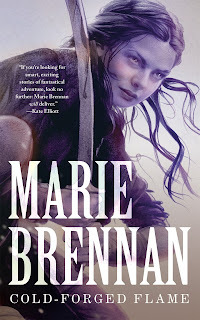 She brings with her knowledge of a long-forgotten program dating from the beginning of the Trisolar Crisis, and her very presence may upset the delicate balance between two worlds. Will humanity reach for the stars or die in its cradle?" "It was a typically unpleasant Puget Sound winter before the arrival of Lioness Lazos. 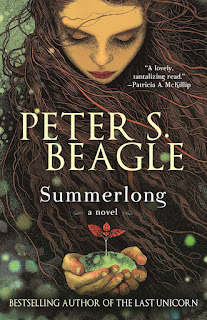 An enigmatic young waitress with strange abilities, when the lovely Lioness comes to Gardner Island even the weather takes notice. "At the beginning—no—at the end—she appears, full of fury and bound by chains of prophecy. This is the story of a woman’s struggle against her very existence, an epic tale of the adventure and emotional upheaval on the way to face an ancient enigmatic foe. 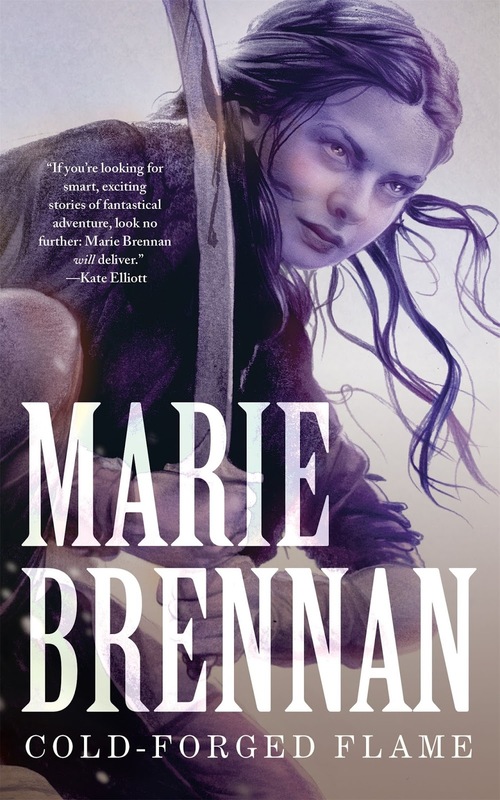 This could only spun from the imagination of Marie Brennan, award-winning author and beloved fantasist, beginning a new series about the consequences of war—and of fate." 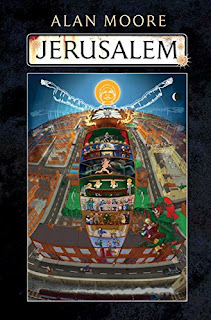 "Ten years in the making, comes a literary work Like no other, from the legendary author of Watchmen, V for Vendetta, and From Hell. In the half a square mile of decay and demolition that was England’s Saxon capital, eternity is loitering between the firetrap housing projects. Embedded in the grubby amber of the district’s narrative among its saints, kings, prostitutes, and derelicts a different kind of human time is happening, a soiled simultaneity that does not differentiate between the petrolcolored puddles and the fractured dreams of those who navigate them. Fiends last mentioned in the second-century Book of Tobit wait in urine-scented stairwells, the delinquent specters of unlucky children undermine a century with tunnels, and in upstairs parlors laborers with golden blood reduce fate to a snooker tournament. An opulent mythology for those without a pot to piss in, through the labyrinthine streets and pages of Jerusalem tread ghosts that sing of wealth and poverty; of Africa, and hymns, and our threadbare millennium. 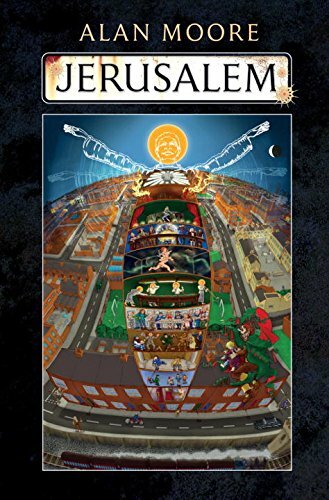 They discuss English as a visionary language from John Bunyan to James Joyce, hold forth on the illusion of mortality post-Einstein, and insist upon the meanest slum as Blake’s eternal holy city." "Çeda is the youngest pit fighter in the history of Sharakhai. She’s made her name in the arena as the fearsome White Wolf. None but her closest friends and allies know her true identity. But this all changes when she crosses the path of Rümayesh, an ehrekh, a sadistic creature forged aeons ago by the god of chaos. 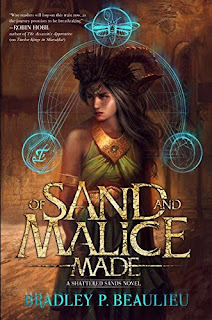 As Çeda fights to protect the people dearest to her, Rümayesh comes closer to attaining her prize, and the struggle becomes a battle for Çeda’s very soul." "The fugitive slave Ghu has ended the assassin Ahjvar's century-long possession by a murderous and hungry ghost, but at great cost. Heir of the dying gods of Nabban, he is drawn back to the empire he fled as a boy, journeying east on the caravan road with Ahjvar at his side. Haunted by memory of those he has slain, Ahjvar is ill in mind and body, a danger to those about him and to the man who loves him most of all. Tortured by violent nightmares, he believes himself mad. Only his determination not to leave Ghu to face his fate alone keeps Ahjvar from asking to be freed at last from his unnatural life. 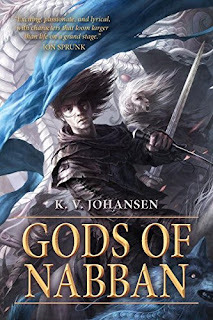 Innocent and madman, god and assassin--two men to seize an empire from the tyrannical descendants of the devil Yeh-Lin. But in war-torn Nabban, enemies of gods and humans stir in the shadows. Yeh-Lin herself meddles with the heir of her enemies and his soul-shattered companion, as the fate of the empire rests on their shoulders." 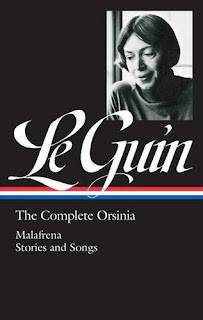 "The inaugural volume of Library of America’s Ursula K. Le Guin edition gathers her complete Orsinian writings, enchanting, richly imagined historical fiction collected here for the first time. Written before Le Guin turned to science fiction, the novel Malafrena is a tale of love and duty set in the central european country of Orsinia in the early nineteenth century, when it is ruled by the Austrian empire. The stories originally published in Orsinian Tales (1976) offer brilliantly rendered episodes of personal drama set against a history that spans Orsinia’s emergence as an independent kingdom in the twelfth century to its absorption by the eastern Bloc after World War II. The volume is rounded out by two additional stories that bring the history of Orsinia up to 1989, the poem “Folksong from the Montayna Province,” Le Guin’s first published work, and two never before published songs in the Orisinian language." "ANTHOLOGY OF GREAT SF STORIES BY RENOWNED WOMEN SF AUTHORS! 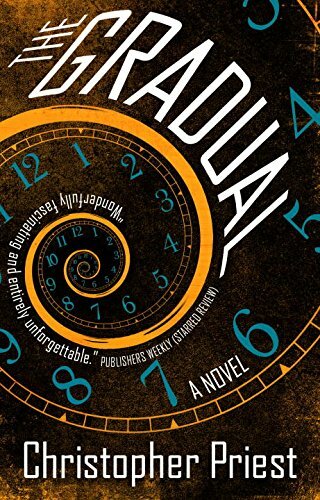 A collection of wonderful SF carefully selected by ground-breaking editor and author, Kristine Kathryn Rusch. 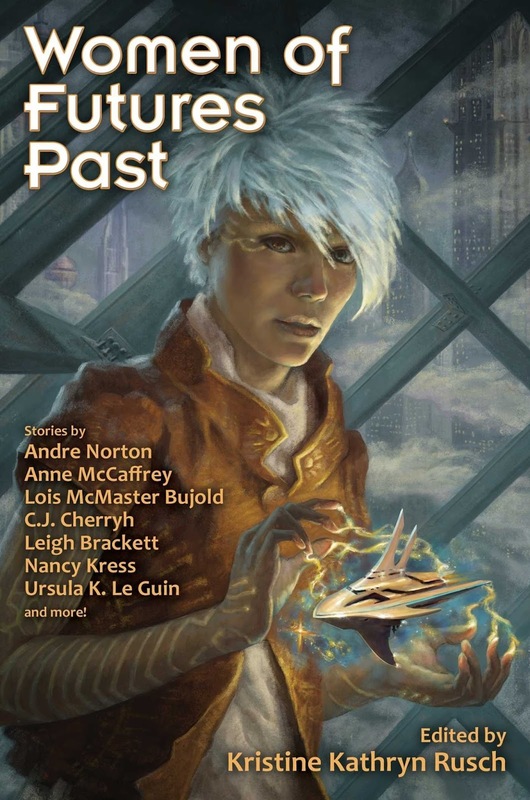 Stories by Andre Norton, Anne McCaffrey, Lois McMaster Bujold, CJ Cherryh and more. You'll find Northwest Smith, C.L. Moore’s famous smuggler who predates (and maybe inspired) Han Solo by four decades. Read Leigh Brackett’s fiction and see why George Lucas chose her to write The Empire Strikes Back. Adventure tales, post-apocalyptic visions, space opera, aliens-among-us, time travel—these women have delivered all this and more, some of the best science fiction ever written! Includes stories by Leigh Brackett, Lois McMaster Bujold, Pat Cadigan, CJ Cherryh, Zenna Henderson, Nancy Kress, Ursula K. Le Guin, Anne McCaffrey, C.L. Moore, Andre Norton, James Tiptree, Jr., and Connie Willis." 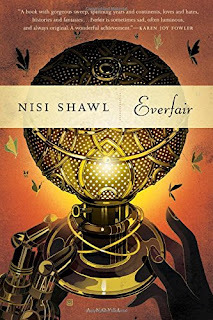 "Everfair is a wonderful Neo-Victorian alternate history novel that explores the question of what might have come of Belgium's disastrous colonization of the Congo if the native populations had learned about steam technology a bit earlier. Fabian Socialists from Great Britian join forces with African-American missionaries to purchase land from the Belgian Congo's "owner," King Leopold II. This land, named Everfair, is set aside as a safe haven, an imaginary Utopia for native populations of the Congo as well as escaped slaves returning from America and other places where African natives were being mistreated. Nisi Shawl's speculative masterpiece manages to turn one of the worst human rights disasters on record into a marvelous and exciting exploration of the possibilities inherent in a turn of history. Everfair is told from a multiplicity of voices: Africans, Europeans, East Asians, and African Americans in complex relationships with one another, in a compelling range of voices that have historically been silenced. Everfair is not only a beautiful book but an educational and inspiring one that will give the reader new insight into an often ignored period of history."